Join us as we read – or reread- the novel Harold Bloom characterizes as “one of those canonical works or classics that reward readers at every level of literary sophistication.” Throughout this course, we will be examining the gothic tale of Heathcliff and Catherine, focusing particularly on their enigmatic romance, literary significance, and enduring interest for modern readers. Our informal weekly discussions encourage all participants to share their ideas and insights into the haunting work. Stephanie Stiles, novelist and former British literature professor, will guide the discussions. 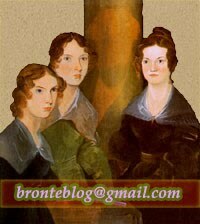 Join us for a three-part series exploring the major works of the Brontë sisters and their extraordinary lives. We will begin in September by reading Emily Bronte's Wuthering Heights. Come and revisit an old favorite, or get around to that classic you’ve always meant to read.